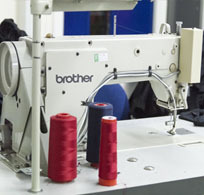 The FTA currently offers four accredited Level 1 qualifications within production ‘Fabrics,’ ‘Machine Engineering’ and ‘Quality Control.’ All of these courses are 6 weeks long and are taught by industry experts based at the Factory and cater for beginners who can then progress to higher qualifications, apprenticeships, new business start-ups and job outcomes. Employability is a Level 1 Award, which can be combined with another Level 1 units or taken as a qualification by itself. This course will help you to create an effective action plan to target employment opportunities. 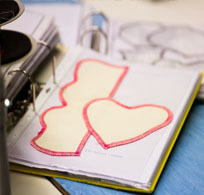 Fabrics is a six week course, where you can learn the fundamentals of fabrics: how to identify the construction and characteristics of man-made and natural fabrics. The Quality Control course is where you can learn the fundamentals of hand pressing, finishing procedures and inspection of sewn products. Machine Maintenance will teach you the fundamentals of Industrial Apparel machine maintenance: how to identify tools and components for a range of industrial machines including over-lock, felling and cover-stitch machines. 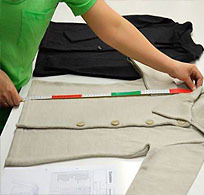 This Quality Control course is where you can learn the fundamentals of finishing procedures and quality control of sewn products. Employability Skills is a 6 week course in which you will produce a CV, identify your skills and produce an effective cover letter. You will have the opportunity to practice your presentation skills for that all important interview!